Will Bellway break resistance, or will it fall back to 2407p? 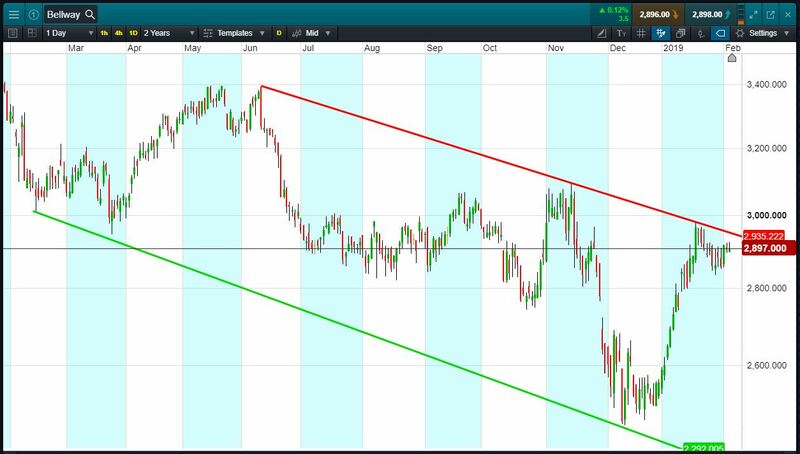 Falling range channel since mid-June. Will the pattern repeat itself, shares testing prior 2407p lows? Smaller peer Countryside said Q1 reservations slowed. Brexit uncertainty hampering the housing market. Let’s say you like the Bellway range, you think it’s heading back down to 2407p again. You decide to sell exposure to £10,000 worth of Bellway using a CFD, at the current price of 2897p. To do this, you need £2,000. Let’s assume Bellway falls back to 2407p Dec lows (-16.9%). Your profit would be £1690, from your initial investment of £2,000. Conversely, let’s assume you open the above position, and place a stop-loss at 5% from the current price. Bellway rises 5% and hits your stop-loss. Your loss would be £500.